We will be looking at what has happened to the market in the week following the announcement of the #1 book. Trends, listings, and sales prices will be tracked from the perspective of both raw and the highest CGC graded books. 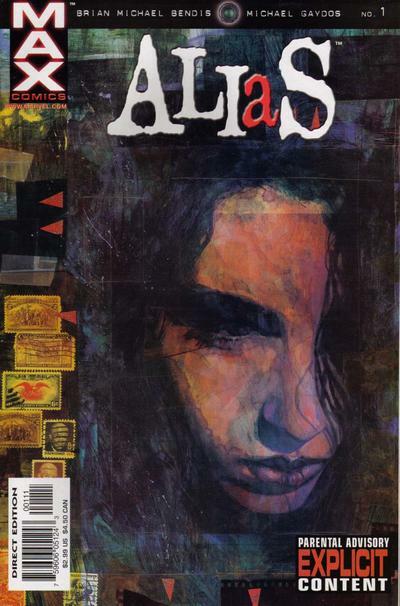 Last week, Alias #1 took the top spot on the Hot 10 list. This book has been on fire ever since the trailer dropped for Jessica Jones – the new upcoming Marvel TV series produced by Netflix. With the release of the first trailer and photos starring Krysten Ritter, the internet has been focused on this show with high expectations due to the success of Netflix's Daredevil series, which has been widely praised in the comic book community. As of 11/5/15, there are 16 active listings on eBay. From the 16 active listings, three 9.8 CGC slabs are going for listed values of $565, $1,695 and $1,130. Raw Values are ranging from $85 for a 9.4 raw copy to the highest being $171 for a 9.6 raw copy. There have only been 5 completed auctions since 10/30/15 (up to 11/04/15) with only one graded sale for a CGC 9.4 slab at $140.00. Raw sold listings ranged from $25 for a VG/FN copy to $100 for a 9.6 raw copy. As you can see from the graph above, a 3 month view shows significant increases in this book in both sales and popularity. We also see from the 9.8 sales history that the fixed price point has stayed steady for the last month. I predict that this will not be staying like this for long – I can see a jump in prices shortly after Thanksgiving. The reason for this is because the Netflix release date for Jessica Jones is November 20, 2015. The Thanksgiving holiday for our US fans provides a perfect opportunity to binge watch all of the episodes and could spark additional interest. I would buy Alias #1 now before this book gets out of reach for most people. Enjoyed the article. But I think this book has reached its peak. Does a show really increase the value of a book after the show has been released? Most of the peak is in the pre show not post show. Depends on the show, IMO. This show is a little different in the aspect that not many people really know much about Jessica Jones. This is our introduction to her and is creating an extra amount of buzz (and this is within continuity in the MCU). If this show is done well, which all indications are that it will be, this ‘TV show’ is more akin to a movie and as a result, a little higher ceiling. I came to argue, but you nailed it, so I cant debate with the sales on feebay. Ben, I guess we will just have to wait and see. I actually hope it does, I have a CGC SS 9.6 signed by Bendis & Mack. Nathan – I believe the walking dead book is due to the very short print of 1st printings. I just saw on comic book men it has a print run of about 7300. But if this book can reach Walking Dead status, that would be amazing.